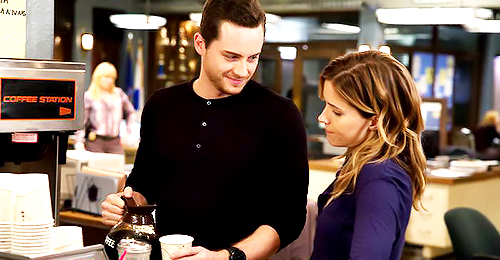 Erin and 松鸦, 杰伊, 杰伊 ·. . Wallpaper and background images in the 荧幕情侣 club tagged: photo sophia bush jesse lee soffer erin jay chicago pd. This 荧幕情侣 photo might contain 酒吧, 葡萄酒吧, 餐车, 晚餐, and 小餐馆.